We've all got that one family member: the single male in his late 30s without a care in the world, shades on, a wad of P500 bills tucked comfortably in his back pocket and a tendency to overuse terms from a bygone era. Chances are he smells like cigs, and he's rocking a hairstyle or outfit too hip for his own good--he's nearing the end of his prime, but still too young to care. We call him the tito. When you were younger, he'd pick you up from school every once in a while—probably a little late, but you didn't care. A free Happy Meal on the way home made the aforementioned stench of tobacco well worth it. 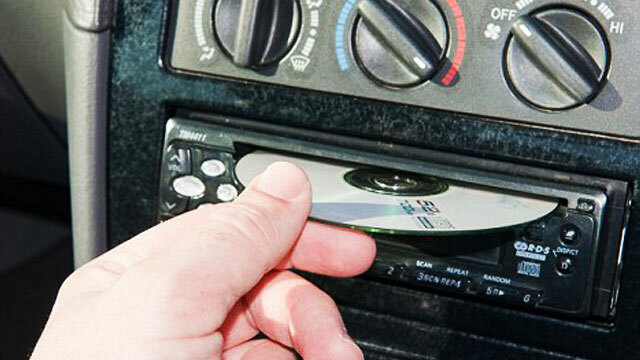 Besides, your friends thought he was cool and he'd let you pick the songs from his iPod on the way home. Yosi everywhere. Whether they're stuck in the middle of EDSA traffic or waiting for an inaanak to exit the school premises, titos have a tendency to smoke a lot. Messier ones tend to have ash and cigarette butts littered everywhere. Plenty of change and convenience store receipts too, on account of, well, all the times you get out of the car to buy him a pack. The scent of a woman's perfume. It's evident from the moment you open the front passenger door. You're not entirely sure if it's his, or from all the girlfriends he's driven home in his car. Either way, you prefer this scent to that of used cigarettes. CDs or cassettes. If he's a tito of the older variety, chances are he still has a ton of CDs or cassettes lying around. Most of them are greatest hits compilations, too. He still plays some of them even though he owns an iPod. Why? Well, he hasn't quite gotten the hang of digital music. Help him out; it's the Spotify era for crying out loud. A small trash can. He doesn't use it as often as he should, but it's there. At least you know where to throw stuff when he asks you to clean his ride. Old-school car stuff. You notice your tito's car charger/adapter is oversized, and that his tire pressure gauge is out of date. It's simple: He has more important stuff to spend his money on. Just tell your mom that he needs a new one for Christmas. Vanity mirror. Titos like to look good—always. It's likely there's an electric shaver somewhere in there as well. Unkempt facial hair is a big no-no, as it's likely to drive potential titas away. Backseat hangers. Your tito doesn’t leave home without a fresh set of clothes. Whether it's an extra shirt or a long-sleeved polo, he's always primed for meetings, a night out with friends and—most importantly—dates. Let's just hope the scent of the car doesn’t stick. Jologs car accessories. Cheap back rest? Check. Colorful steering wheel cover? Check. Fuzzy dice hanging from the rearview mirror? Check. Dashboard cover and several plastic trays and bins? You get the picture.